Flattering50: 2014 Golden Globes: Is this the Year of the Woman Over 40? 2014 Golden Globes: Is this the Year of the Woman Over 40? It's no news that the fashion industry continues to largely ignore women over 50. However, I like to think our age group is starting to get noticed here and there. Every so often, a designer, such as Lanvin, or a clothing brand, like Talbots, Uniglo or Chico (to name a few), celebrates the older woman by either using models or spokeswomen of a certain age. At the same time, I get excited when I notice women over 40, 50 and beyond being recognized in other industries and professions. I like to think changes in other fields will encourage change in the fashion world. Case in point: The 2014 Golden Globe Awards. Isn't it fantastic that all these women have been recognized with nominations? I hope it's a sign that times are changing. I'll be watching to see who wins and (of course) what all the lovely women are wearing. Naturally, I'd like all the women over 40 to take home the award. 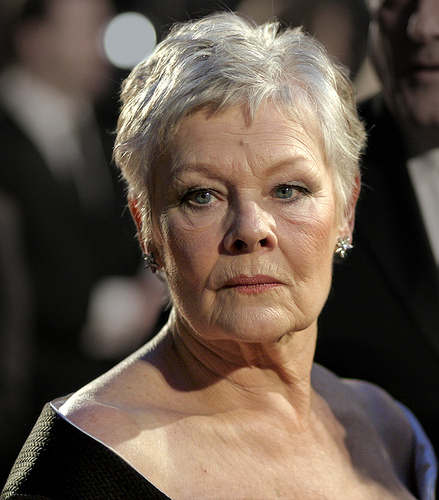 However, if I had to pick one: Judi Dench. Which Actresses Are You Hoping Will Take Home The Award?